Who do you call when you’re in crisis? Friends? Family? Maybe you can recall a time in college when your bank account ran dry and rent was due, perhaps a time you needed someone to talk to you about a relationship problem, or maybe you were just getting started on your own and the cupboards ran dry. Who did you turn to? Imagine if you didn’t have that friend or family member. 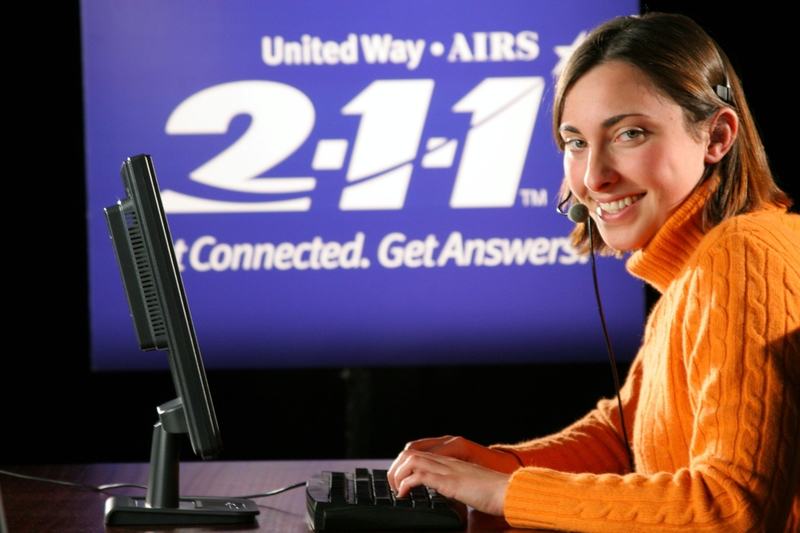 Fortunately, thanks to your support of MSA United Way, you can call 2-1-1. FirstLink (2-1-1) is the go-to place to help people get connected to health and human services, alleviating frustration from people having to call multiple places that are not appropriate for their need. It saves agencies time and money by fielding numerous calls from people requesting services an agency doesn’t provide. “We help people who are having thoughts of suicide stay alive by working with them to develop and follow a safe plan. For example, a woman who deals with chronic thoughts of suicide calls anytime her urges increase and she needs de-escalation,” comments FirstLink Database and Resource Specialist Angie Hedstrom. FirstLink call specialists help individuals with mental illness get through the day. They’re a vital piece of the support network, a point-of-contact between therapy appointments, when formal supports may not be available. Hedstrom shares a few real-life examples of how 2-1-1 services benefit our community. “A gentleman struggling with schizophrenia calls to help stay focused with his daily goals. Another example, a woman who deals with a consistent urge to cut has developed FirstLink into her safe plan.” Anytime she has an urge to cut, she calls 2-1-1. The support has helped her refrain from self-injury for years. The range of assistance is as diverse as our community. Specialists often connect people to resources they have never heard of. “We help people obtain support to stay in their homes. For example, a family who experienced unexpected medical bills was able to stay in their home by getting assistance with rent and food,” noted Hedstrom. FirstLink helps our nonprofit network operate more efficiently, and saves our community money by de-escalating crisis situations and preventing the need for local law enforcement, ambulance calls or emergency rooms would otherwise be utilized. All of this is possible because of your support of MSA United Way.